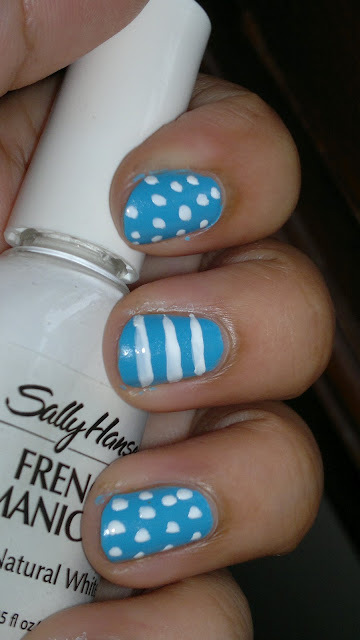 Today I tried doing a very basic Dots and Stripes Nail Art using Lotus Herbals Color Dew Nail Enamel Deep Sea, and made the Dots and Stripes Using Sally Hansen French White, which has an excellent thin brush. I love the way it turned out, little funky and perfect for a picnic out with friends. Hope you girls like the Nail Art. Do let me know in the comments below.